Plucked in the garden, all the summer through." 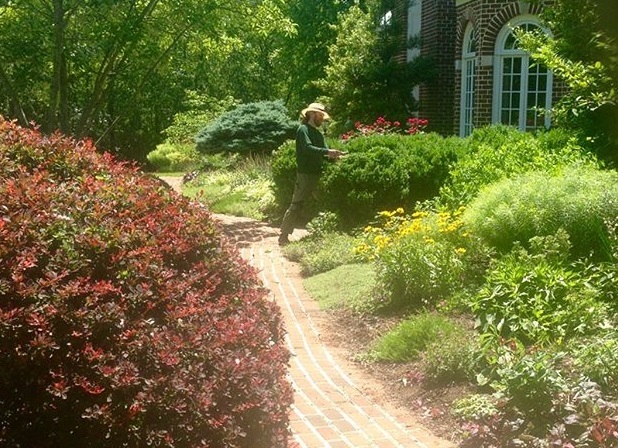 From a bare spot of turfgrass to a beautiful garden spilling over with flowers! Leafhopper Landscaping can help you reinvent your outdoor living space, update existing beds, or achieve specific garden goals such as attracting more birds or butterflies. We have planted several "Monarch Waystations," which aim to provide habitat for endangered butterfly species and other pollinators. Whether you prefer a dazzling show of annuals or a perennial garden that will provide a cascade of blooms throughout the year, Leafhopper can help you select the best plants for your existing garden conditions, and also offers professional installation services. We have planted public displays for local businesses, neighborhood entryways, and Lexington's Wellington Park (alongside the native plant society "Wild Ones"). Gardens require regular care to look their best, and Leafhopper is here to help, with years of experience maintaining ornamental plants. 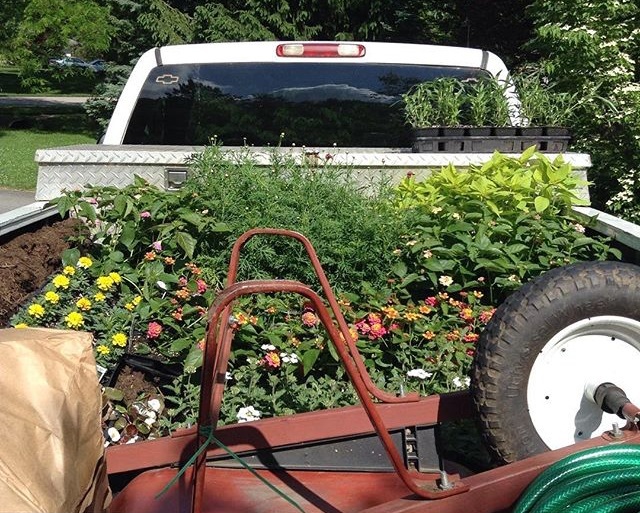 We offer mulching, deadheading, shrub and tree trimming, fertilization, and anything else that your garden might require. With proper care, your plants will be at the peak of health while providing attractive blooms and lush fragrance. Gardens that we have maintained have won top honors in the Lexington in Bloom contest (sponsored by the Lexington Council Garden Clubs).